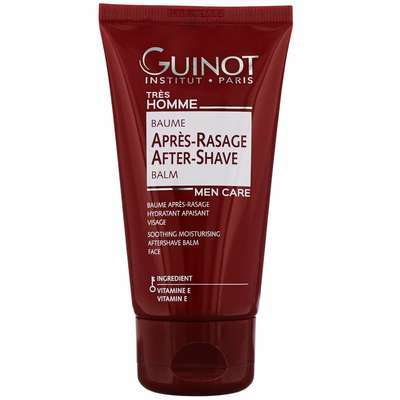 Home Brands Guinot Très Homme Baume Aprés-Rasage After Shave Balm 75ml / 2.5 fl.oz. Guinot Baume Aprés-Rasage give your skin instant comfort and well being, whilst reducing redness and eliminating nicks. 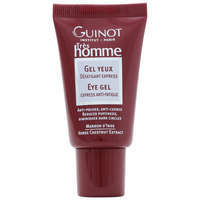 Guinot Tress Hommes Moisturising and Soothing Aftershave Balm will leave skin in perfect shape throughout the day. 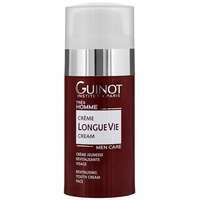 This Guinot balm calms the skin after shaving, leaving it hydrated and fresh. - Vitamin E: this vitamin has anti-radical and anti-oxidant properties. It protects the skin from external sources of aggression (UV radiation and pollution). In addition, thanks to its molecular structure, it limits evaporation, thus ensuring better skin hydration. To Use: Apply liberally after shaving. 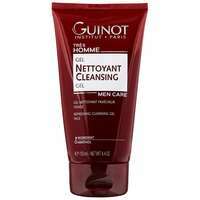 Gel Nettoyant Cleansing Gel 150ml / 4.4 oz. Guinot Très Homme Baume Aprés-Rasage After Shave Balm 75ml / 2.5 fl.oz.